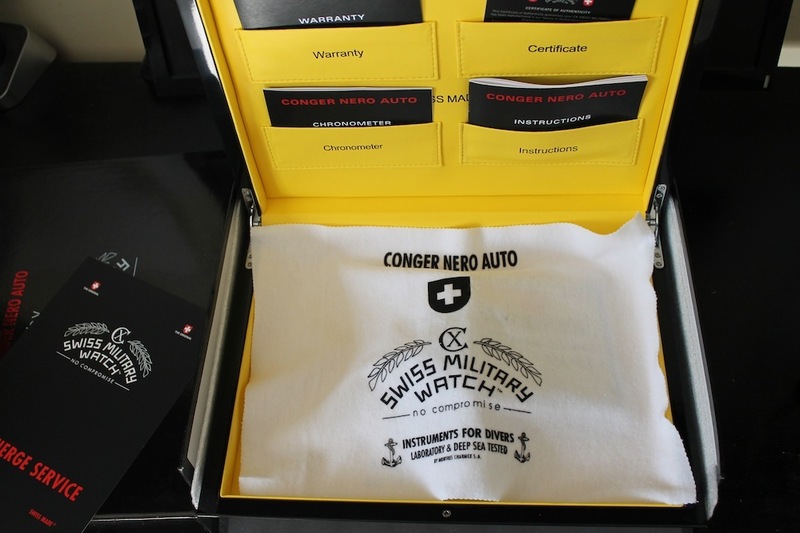 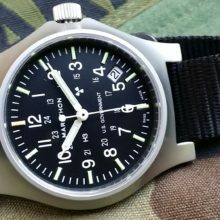 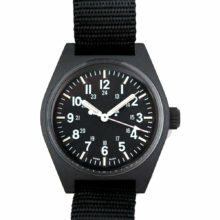 Pre-Owned Conger Nero Automatic Wristwatch. 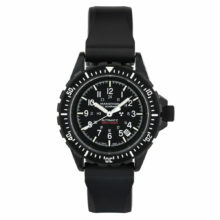 Ultimate diving watch with COSC certification and DLC finished case! 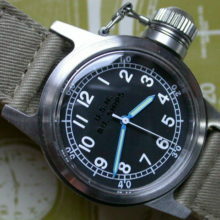 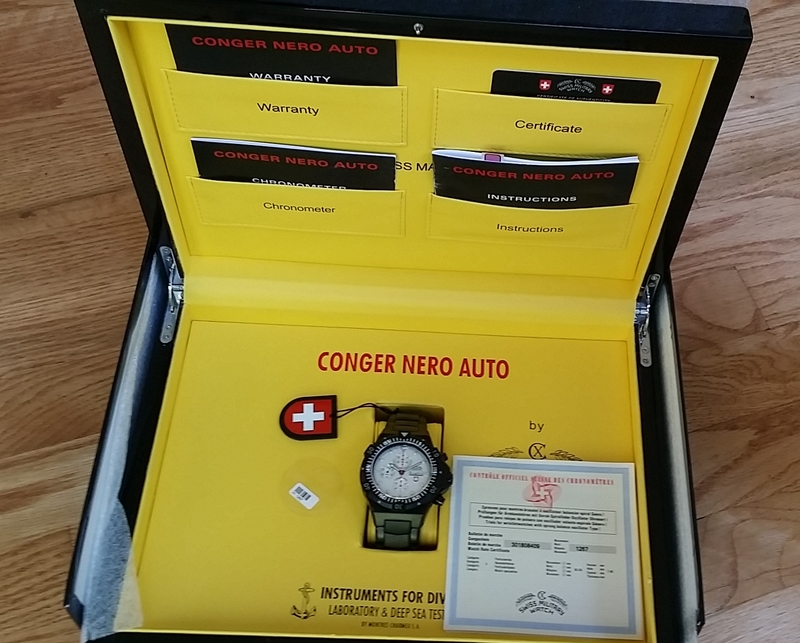 Open box near mint Conger Nero Chronograph Automatic Wristwatch. 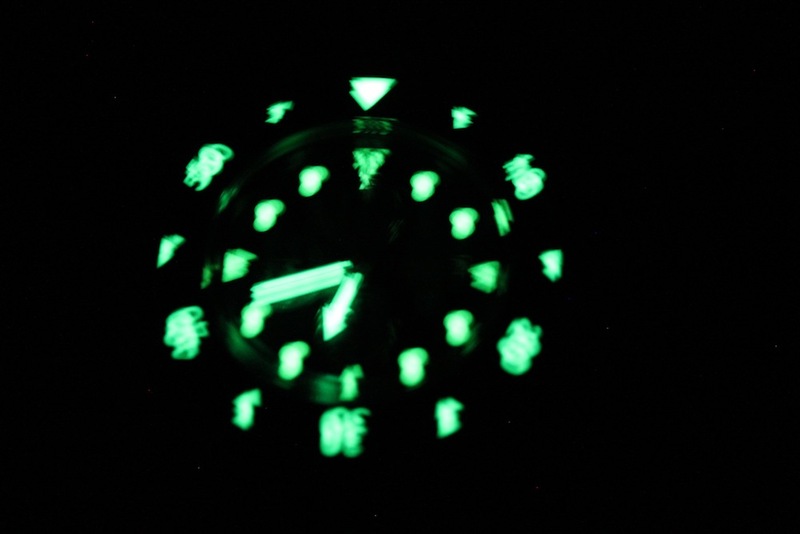 Black DLC (diamond-like-coating) provided protection and contrasts with an amazing white/silver dial with superb super Superluminova™ lume! 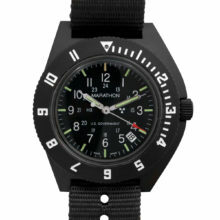 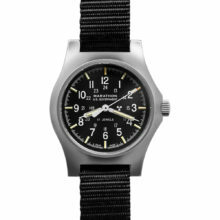 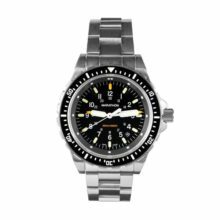 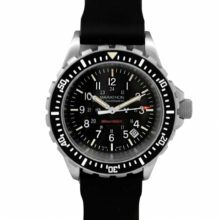 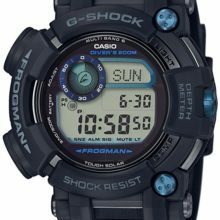 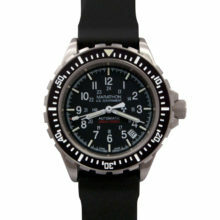 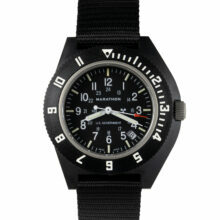 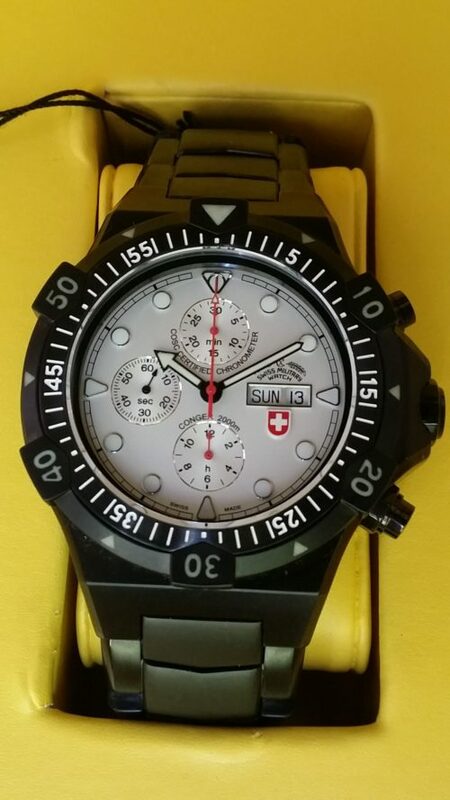 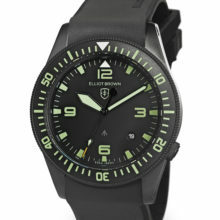 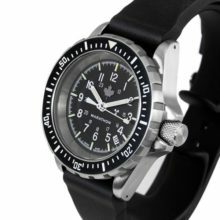 This watch is a current model professional diving watch and has a retail price of $4270. 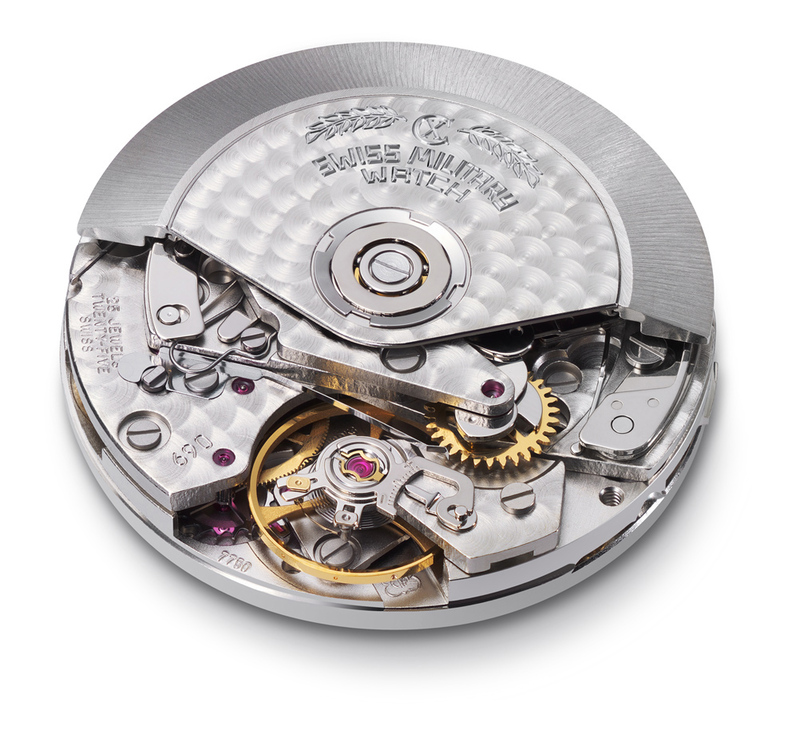 Screw-down caseback with Limited Edition engraving. 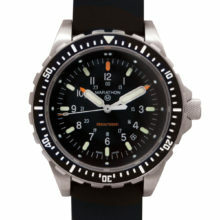 Water-resistant to 200 ATM = 6600 FEET = 2000 meters plus 25% safety margin according to ISO norm 6425. 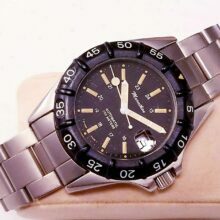 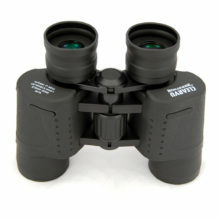 Note: The chronograph pushers are fully operational with unscrewed pushers to a depth of 300 meters. 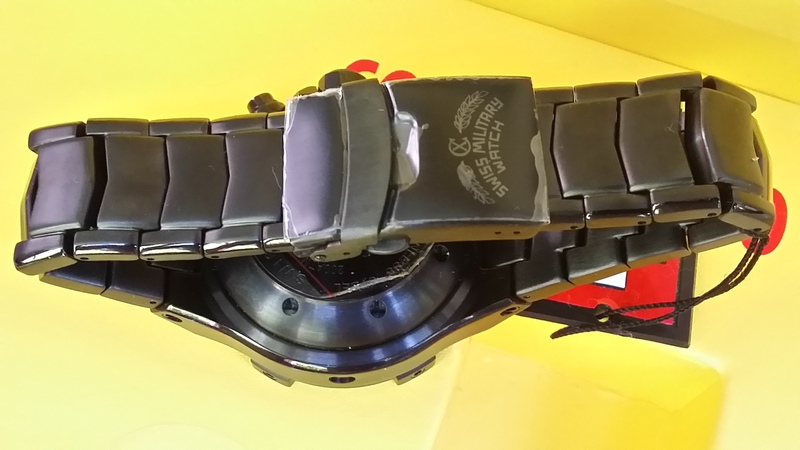 If diving below 300m, the pushers have to be screwed tight, thus ensuring maximum water resistance. 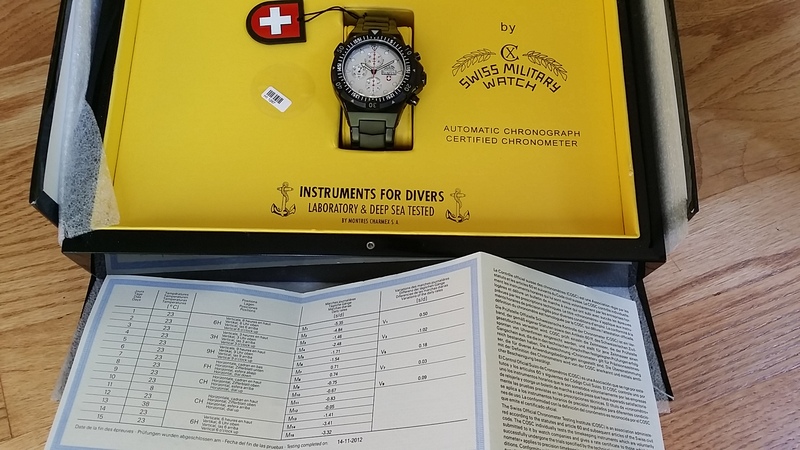 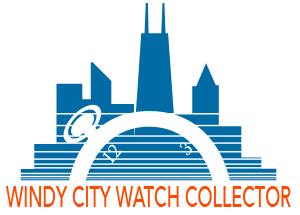 Limited Edition of 100 pieces; XL Presentation Box; Open warranty cards, and COSC chronometer rating certificate.